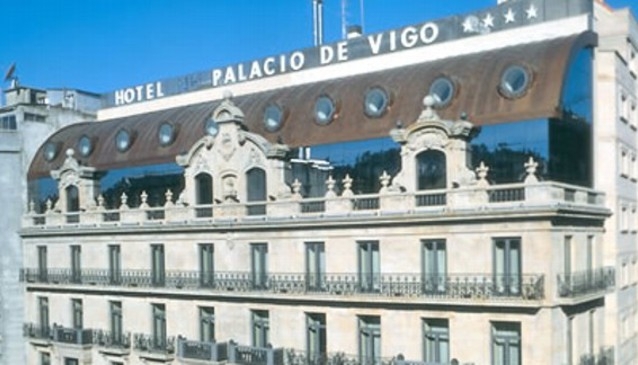 The NH Palacio de Vigo is located near the centre of Vigo, and is housed in an adapted residential building that dates back to the early 1900s. The architectural adaptations have added modern elements while preserving and restoring the original architecture. The hotel is near the Do Castro Park and the Club Nautico. It has extensive meeting facilities, and a restaurant featuring local delicacies. The property is close to the local train station, and about 12 km from the local airport. The hotel is part the NH international hotel chain.